Prof. Kissler has written over 60 specialist publications in the field of reproductive medicine, in particular the conditions endometriosis and adenomyosis. From 01/10/2016 Medical Director of the Frankfurt Fertility Centre at Krankenhaus Nordwest. Move to new premises on April 10, 2017 in the Hospital zum Heiligen Geist. 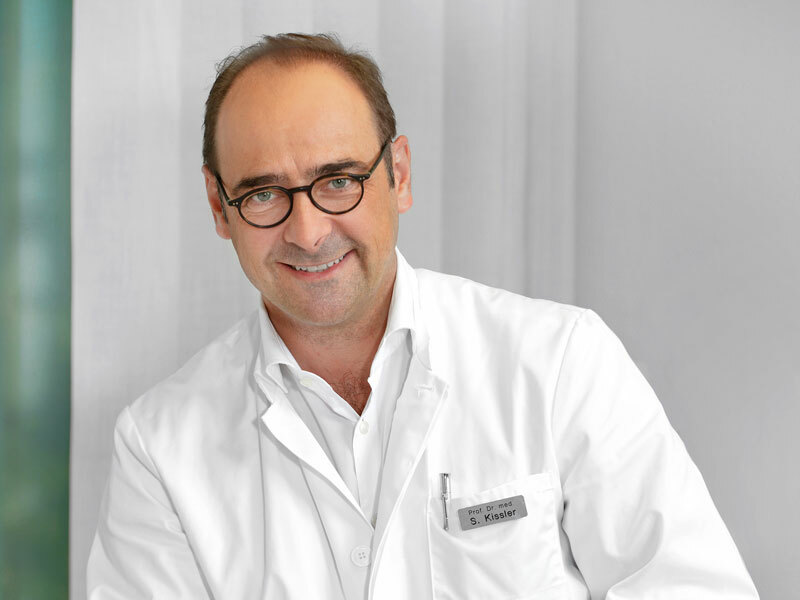 01/11/2015 - 30/09/2016 Assistant Director of the Frankfurt Fertility Centre at Krankenhaus Nordwest (under Prof. E. Merz). July 2012 Professorship in Gynaecology and Obstetrics at RWTH Aachen. 01/10/2011 - 30/06/2015 Conversion of Düsseldorf Reproductive Medicine Centre to a private healthcare centre. Medical directorship as managing partner. 2009 Transfer to RWTH Aachen. 01/12/2007 Joined Düsseldorf Reproductive Medicine Centre (Völklinger Str. 4, 40219 Düsseldorf) as partner and doctor under contract. Dec. 2006 Leading candidate for application as Director of Gynaecology Clinic at Klinikum Chemnitz (Leipzig and Dresden University Teaching Hospital). 21/12/2005 Habilitation (qualification to teach higher education) for Gynaecology and Obstetrics: “Uterotubare Transportstörung als Ursache der Infertilität unter besonderer Berücksichtigung des Krankheitsbildes der Endometriose.” (Uterotubal transport disorder as a cause of infertility, particularly with regard to endometriosis). 01/10/2004 - 30/11/2007 Head of the Gynaecological Endocrinology and Reproductive Medicine unit at Univ.-Frauenklinik Frankfurt/ Main. 30/08/2002 Recognition of optional further training in Gynaecological Endocrinology and Reproductive Medicine from Hessen State Chamber of Medicine. 28/03/2001 Recognition in Gynaecology from Bavarian State Chamber of Medicine. 16/01/1995 - 30/09/2000 Scientific assistant at the Universitäts-Frauenklinik Erlangen; regular teaching activities (Prof. N. Lang). 1994 Doctorate at Medizinischen Klinik II, Johannes-Gutenberg-Universität Mainz.